Jazz Launches its all-new Jazz Cash App for mobile consumers. The App is equipped with new features which are helpful in daily transactions. Jazz is a leading telecom company in Pakistan providing services for many years. They are not only providing mobile and internet services but also offer online banking system through Jazz Cash. It provides secure transactions, whether you want to send or receive the money. 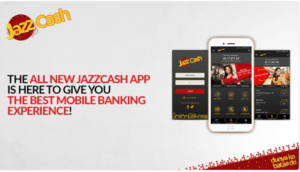 To facilitate the mobile account customers, Jazz Cash launches a new Jazz Cash App. This lightweight app is available free of the cost of google play store for managing the day to day finance. Jazz Cash update previous application by adding new features. This brand new Jazz Cash App has a number of features. This feature helps to make the transfer of the money easier. One can send the money in any of these accounts. If you want to pay a utility bill, then you don’t have to visit the bank or shop physically. Instead, you can pay any utility bill (Electricity, Sui Gas, Telephone etc.) through Jazz Cash account just by one to two clicks. If you want to send the mobile load to any person in your contact list, then it’s absolutely possible through this amazing application. Do you want to pay any payment such as the loan, Passport fee or any other, then you can pay just by clicking on the button and that’s it. This brand new feature allows you to request the money from your any contact if you want money urgently. One noticeable thing is that you can request the money even if they don’t have the application. Through this amazing feature, the app saves the transactions you performed and allow you to repeat it just by few taps. Jazz Cash helps you to check to access your account and check the account statement of 30 Days. If you want a debit visa card, then request today and create a secure PIN. You are allowed to block the card at any time. Use the touch ID to log in and validate your transaction by the smart touch or Face ID recognition for better security. Find the agent location in your new application just by calling the agent and request money transfer. Invite 20 Friends from your application and win cash prize when they create the first login. One can scan and pay Jazz cash QR and win exciting and amazing discount offers.